Coming Soon! 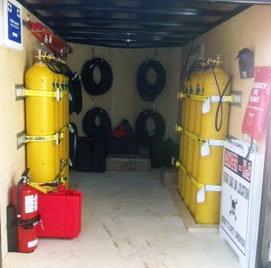 Custom Breathing Air Trailers. Soon we will be supplying Breathing Air Trailers for use in oil and gas, industrial and construction fields. Our Breathing Air Trailers offer supply air and respiratory protection for a variety of industrial applications such as: hazardous material handling, petrochemical and confined space operations. Stay Tuned!